With a quick measure and photo of the French River musky, Bob Griffith of State College, PA, released his largest muskie to date during the group’s 51st stay at Bear’s Den Lodge. 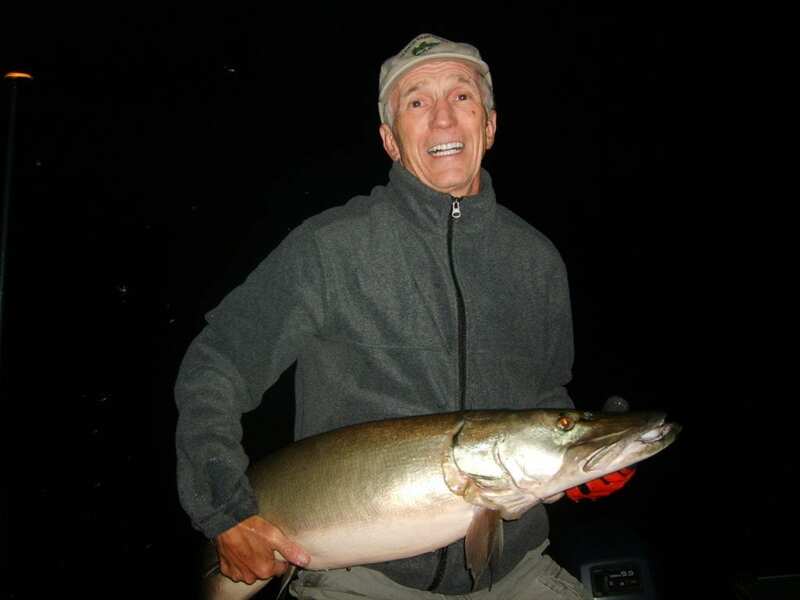 Since 1989, Bob reports that he has caught other muskies in past, but was concerned about releasing them quickly so “Not all fish were photographed”. 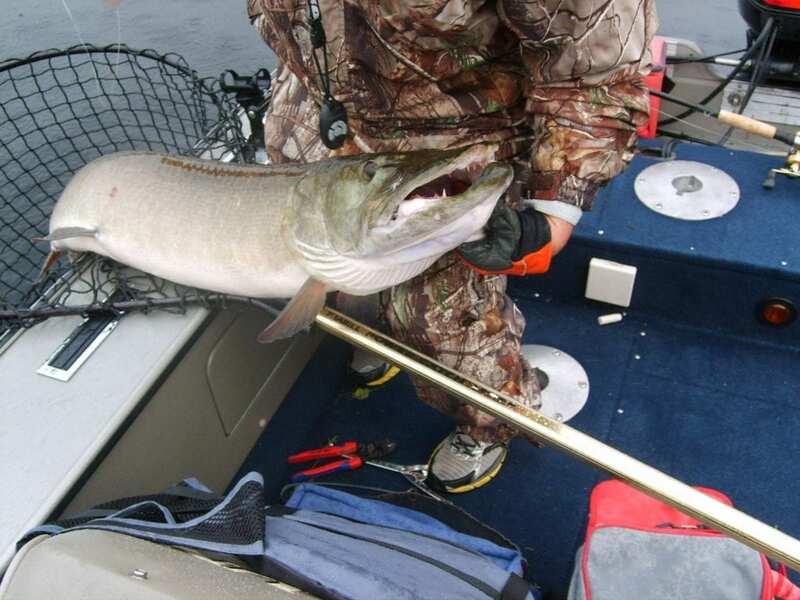 Larry William’s Muskie from released 2 years ago (at the time of writing this). 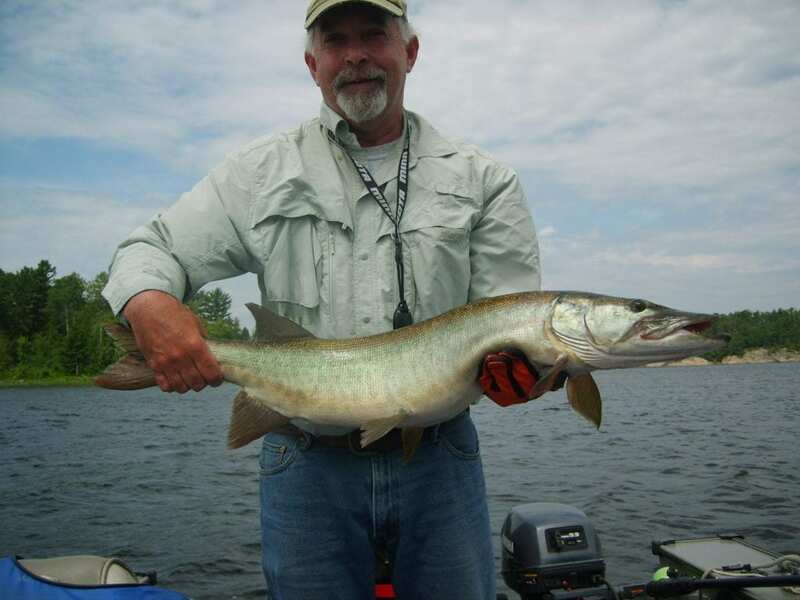 Bob Griffith with a previous French River Muskie. 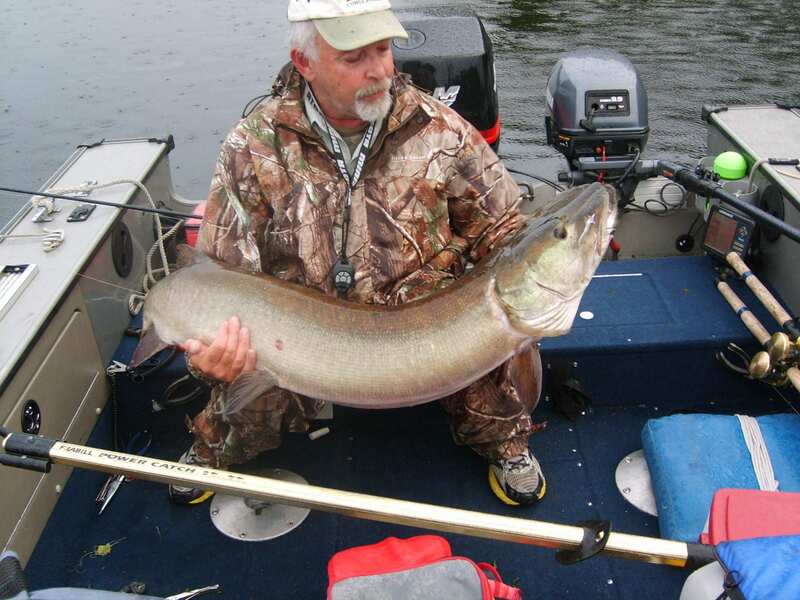 The 51st Year Johnson Adventure Tour Group from PA have enjoyed many other musky catches and releases over the years along with many walleye, large and smallmouth bass from the French River. 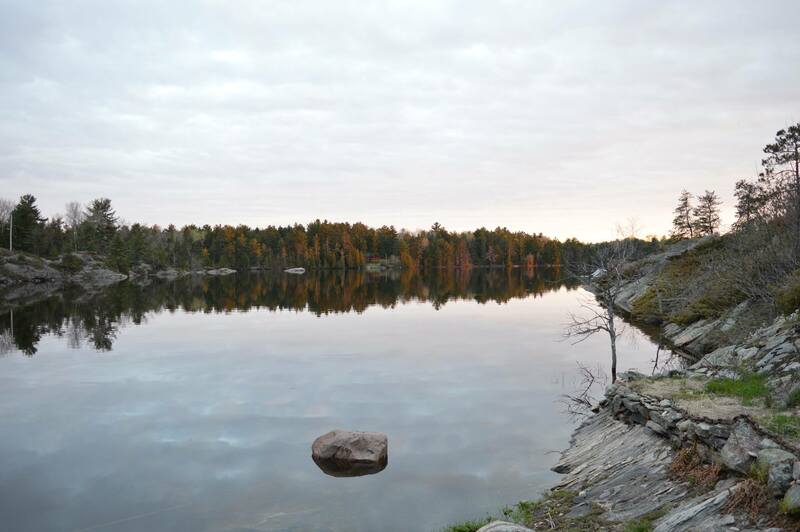 Muskie Fishing French River over 51 years.